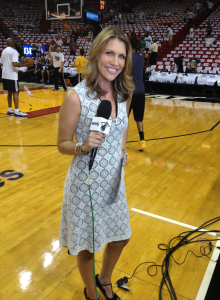 Quick Bio: Kristen Hewitt is a two-time Emmy Award winning Television Reporter, Host, and Producer in South Florida for Fox Sun Sports and the Miami HEAT. (But she tells everyone she’s just a mom who talks on TV sometimes!) 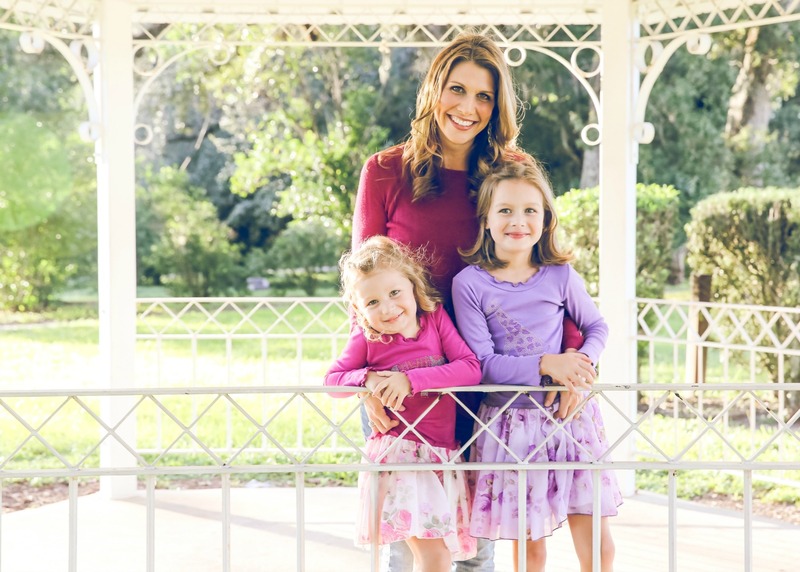 After struggling with infertility and finally having two daughters via IVF, she decided to work part-time. She chronicles the misadventures of working late nights in sports broadcasting and early morning with the kids on her site mommyinsports.com. Her work can also be seen on the Huffington Post, Scary Mommy, TODAY Parents, She Knows, and Mom Babble to name a few, and is continuing to produce her webshow Playtime. She strives everyday to find that elusive balance between work and home with grace, gratitude, and Pinot Grigio. Q: What is your favorite piece of advice to new Moms? A: THIS TOO SHALL PASS. Seriously, I should have tattooed this on my wrists when I first became a mom. The late nights, the teething, the potty training, it’s hard. But before you blink they’ll be six and so independent you’ll miss the baby stage like crazy. Hug em’ tight, hold them often, and and cherish every second that you can. Q: How do you incorporate fitness into your daily routine? 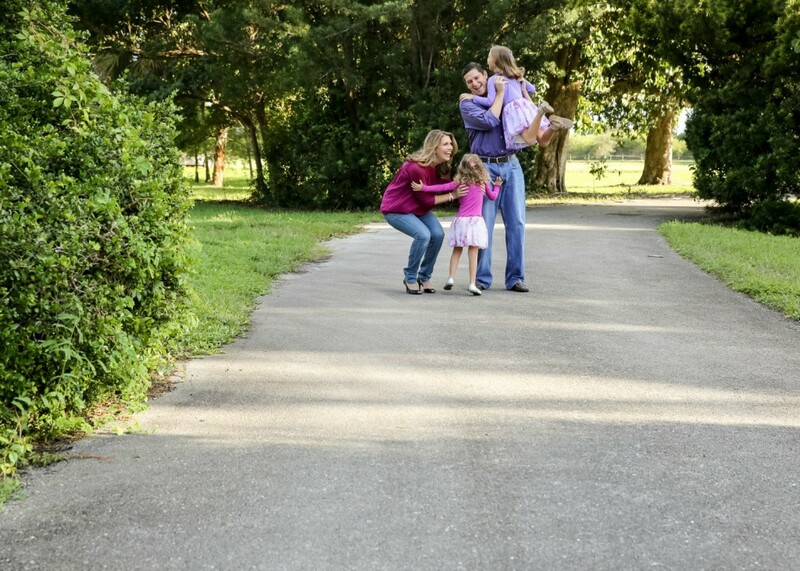 A: Finding time between work and kids is TOUGH! I tried to get up before the kids to workout, but let’s be real….mama needs her sleep! I’ve found when things don’t add up, it’s time to subtract. If you can’t find time to work out, you need to cut something out to make the time. It’s crucial to your well being both physically and mentally. I work out at a park with a trainer 2-3 times a week, and often bring the girls. It’s so important that they learn to love fitness at an early age, and who better to teach by example than mom!? Q: What’s your most memorable Mommy moment to date? A: My daughter at 4 said she didn’t like anything about herself. I realized my own self image was spilling over into her. I worked with her on complimenting ourselves and about 6 months later she told me she loved herself. She probably didn’t know what it meant at the time, but in that moment, I knew I had to teach self-love, kindness, and pride in ourselves more than anything. I wrote about it here and called it “My Best Day as a Mom So Far”…it’s my favorite piece to date I’ve ever written. Q: Share something you have learned about yourself since you became a Mom. A: How much time do you have? Seriously, I am who I am today because of them. When you look at our children it’s like looking at your own reflection. They make me want to be the best version of myself everyday. I truly believe we discover who we are supposed to be in our kids…they are the best gift in the world. They are the ones that are really teaching me who I want and need to be. Q: Describe your “Haute Mom” (fashion) style! A: Ummm…I’m a HAUTE mess when it comes to fashion! Seriously, I’m a mid-westerner trying to survive among the glamorous in Miami! I prefer flip flops and maxi dresses, or baseball hats and leggings, but when I work, I usually pick dresses. (Now that my friends have taught me what to wear!) I like simple pieces with fun and colorful shoes and accessories. But not too high! Three inches are good for walking around a basketball arena all night! Q: What’s the best surprise you’ve ever done for your kids/family? A: Sunrises at the beach. Let’s face it, the kids wake up early, before the sun sometimes. So a couple times a year we pack up early and head to the beach for a sunrise breakfast. It’s always so much fun!